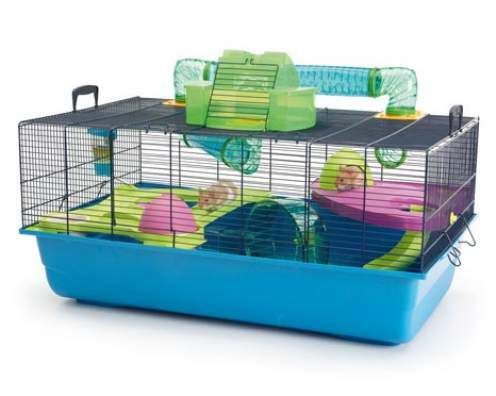 The Hamster Heaven Metro Hamster Cage by Savic is an extra large cage that is perfect for spoiling your hamster and comes with plenty of various accessories to keep your hamster happy. Below are some recent questions we've received regarding Savic Hamster Heaven Metro Cage, including answers from our team. Please can you tell me the space between the bars & if the cage is suitable for roborovski hamsters? Many thanks. The width between the bars is approximately 10mm. I've read correspondence from customers who use this cage with there "Robos" and they all say that it is fine, although some say it may be a little big for dwarf hamsters. What is the wheel diameter ? The diameter of the wheel is 18cm.